Today's edition of Britain's Observer newspaper reports on an Action Aid scoop of a Deloitte document advising companies on how to use tax haven Mauritius to avoid paying taxes on investments in Africa. The Deloitte document, 'Investing in Africa through Mauritius', advises companies how to reduce withholding tax liabilities by routing investment through a Mauritian company, while also reducing capital gains tax to zero. Action Aid obtained the document after it was presented at an international business conference earlier this year. 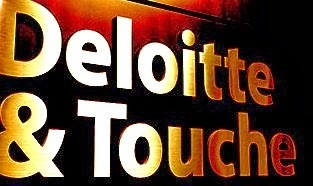 Deloitte argues that taking advantage of Mauritian double tax treaties helps African countries attract investment: a nonsensical argument given that much of the investment flowing into Africa in the past decade has headed into either the extractive sectors or into land purchases. In the past decade Mauritius has risen to global prominence as a gateway for investment into Africa. In previous decades the island has been a base for round-tripping illicit flows from India, repackaging these flows as "foreign" investment to take advantage of tax exemptions. With Delhi taking an increasingly strong stance to tackle such round-tripping, the tax evasion/avoidance industry in Port Louis has shifted focus towards Africa. Predictably the Mauritian government denies it is hosting a tax haven, but the facts tell a different story (and watch out for the 2013 index results which will be published on 7th November, revealing that things aren't getting any better in Mauritius). Update 2014: for more on enablers and intermediaries see here. It should be no surprise. This is practically the Deloitte engine and the entire success of Deloitte Tax practice globally relies on services like these. Then nobody talks about conflict of interest between tax, audit, and consulting.